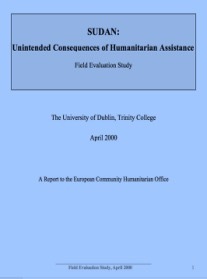 The complex emergencies referred to in this paper are the result not of natural or mechanical disasters—not of earthquakes, hurricanes or plane crashes—but of the various combinations of political and military conflict, of social disruption and large-scale nutritional crisis, that have afflicted one part of the African continent after another in the post-colonial period, from the 1960s to today—the late 1990s—and which are likely to continue into the twenty-first century. “Complex emergency” is the current term for such events or processes, employed in academic analysis and creeping into the lexicon of journalists. Often, though, it would be simpler and equally correct to use the word “war”. The connection between war and famine, between civil conflict and mass displacement is well recognized. Yet there is a tendency for commentators to employ neutral-sounding terms—terms of art that amount to euphemisms. This is a tendency that can be hard to resist. Such terms—“complex emergency”, “civil conflict”, the word “war” itself—need to be examined in terms of what they explain of these events and what they obscure, and in the light of particular examples. The hazards that I allude to in the title of this paper, then, are not so much physical hazards as moral and conceptual ones. Of course the locations of disaster are physically dangerous. They are dangerous for outsiders. They are more dangerous for their inhabitants. If you live in such a place it is riskier to be a non-combatant than to be a combatant. These are wars that kill more civilians than soldiers. There is often no state to defend them, which is one reason that men take up arms. And there can be special dangers for those whose task is to report on conflict. There are few countries in Africa where there is anything approaching press freedom. In some the situation is very serious, such as Algeria, where 58 journalists were assassinated between 1994 and 1997. Abu Abdul Rahman Amin, the leader of a faction that calls itself the Armed Islamic Group of Algeria, which is responsible for many of these deaths, has extended the threat to all secular journalists, foreign and Algerian. “Those who fight with the pen,” he has proclaimed, “shall die by the sword.” Simply to be a journalist in Algeria today is an act of valour. But the everyday hazard faced by most of those whose task is to describe and explain African emergencies is not war itself, but understanding it correctly. The disaster zone in Africa is, by and large, an area of confusion, where often neither participants nor interpreters (and this itself can be a problematic distinction) are able to explain events in such a way as to be readily comprehensible to a global audience. Journalists have one set of difficulties; and those working for international aid agencies have another, but they are linked to each other in an information economy whose frequent poverty and obscurity reflects that of the countries with which it deals. What does “the disaster zone” refer to here? The term is not geographically specific. Nor is it historically defined. One might describe it as a characteristic journalistic neologism, arresting but not analytically useful. It conforms to the priorities of a news regime that has a single template to describe catastrophe. So I am using the term perversely in order to draw attention to the homogenization by international communications media of conflicts that are often, in significant respects, different from one another. In the perception of the west the recent history of Africa is punctuated by—and characterised by—a series of linked wars and famines: Biafra in 1968-69; Ethiopia in 1973 (no major war, but an incipient revolution); Western Sudan in the early 1980s; Ethiopia again between 1983 and 1985; and Somalia in 1991-92. Wars in Mozambique and Angola and Liberia and Sierra Leone, with resultant large-scale population displacement, are also assimilated to the picture of a disaster-prone continent. The current crisis in the Great Lakes region of Central Africa is the latest in this line of emergencies. In the Great Lakes region the shock of the Rwandan genocide of 1994 and its knock-on effects, culminating in the massacres in 1997 in Eastern Congo, has generated a new and perhaps more sophisticated kind of international press coverage. But the Great Lakes crisis also tends to be perceived as part of a continuum of catastrophe—a phenomenon that spreads first to one country, then another—from the Red Sea down the Rift Valley to the Copper Belt and the Atlantic Coast, or across the Sahel into West Africa, naturalised like a series of earthquakes or eruptions on a fault line. Like most of those who write about this I have been guilty of using this kind of naturalizing metaphor myself. These crises do have elements of uniformity, but many of the features they have in common are the product of international intervention: the same aid agencies and the same pictures of the hungry and of displaced people, shorn of identity by the shorthand of the international welfare system, reclassified as members of the tribe called refugees (or their kinsmen, the internally displaced). It is true that Africa’s civil wars have structural aspects in common: poverty, unrepresentative government, the unequal distribution of rights and resources. Each of these conflicts, however, emerges from a particular history in which the pattern of colonial heritage, community politics and state formation (or non-formation) is distinct. In the past four years Western analysts have spent much ink and airtime discussing the political complexities of a single crisis-ridden region of the world, former Yugoslavia. Intricate discussions of Balkan politics have filled every newspaper. Yet most newspaper readers would still be hard put to summarize the issues—or the history even—of the present Balkan Wars. In Africa there are dozens of Balkans. None of them has received anything like the scholarly or journalistic attention given to former Yugoslavia. Despite the valiant attempts of some scholars, this lack of deep background bedevils all descriptions of African emergencies. As David Keen has pointed out, the first question those in Western countries tend to ask of a war, either a civil war or a war across borders, is, “Who is it between?” Answers are provided in terms of acronyms of warring parties, or religious or ethnic labels. So the war in Angola, say, is described as being between the MPLA—which forms the present government—and Unita (that is, between the Popular Movement for the Liberation of Angola and the National Union for the Total Independence of Angola); the wars in the Great Lakes are between Tutsi and Hutu. Or, in case of Sudan, the war is between the “Arab Muslim North” and the “Christian South.” The latter is a particularly tricky case. Writers attempting to be scrupulous may speak of the “Christian and animist South” (“animist” being a word resurrected from superannuated anthropological texts by those seeking a compact pseudoscholarly euphemism for “pagan”). Or they may settle—in a spirit of resignation of which I have—again—succumbed to myself—on “the non-Arab and largely non-Muslim South,” a negative definition that is not much more helpful than “non-government organization”. Such characterizations tend not to illuminate—and may obscure—the nature of the communities involved, their quarrels and alliances and the roots of conflict between them. Ethnicity is a language in which most of us are not fluent. The labels and acronyms attached to the warring parties are a form of short-hand, written in a script we can barely read. We also like one side in a war to be right. It simplifies things. But this is a moral judgment that is usually hazardous to make. The countries in the disaster zone are areas of military contention. Wars are fought here, as elsewhere, for a complex mixture of reasons: for access to natural resources; for control of the state (and the power of disposal of economic goods from the international system that goes with incumbency); as part of a communal search for Lebensraum. They may also end up being fought, as in an increasing number of cases, in order to perpetuate conflict per se and to profit from it. Some of these wars, such as the war in Sudan, are wars in which an outsider may discern, rightly or wrongly, a just cause. Even then, participants may lose sight of this cause in internecine conflict, while continuing to fight in the name of people they no longer truly represent, if they ever did. Other wars, such as those in Liberia and Sierra Leone, seem to be the work of predatory formations lacking any political ideology or long-term goals. The boundaries between war and crime become indistinct. Most of these wars are also proxy wars, where what appears to be a civil conflict is provoked or sustained by a neighboring power—one government sponsoring insurgency in order to destabilize the government next door and, at the same time, suppress insurrection within its own borders. Finally, the sources of many of the conflicts can be located in the administrative devices of colonial powers. The human suffering that results has led to large-scale interventions on the part of the institutions of the international welfare system, by non-governmental organizations and by the agencies of the United Nations. The material resources such organizations import routinely become part of the spoils of war. The engagement between the humanitarian international, as it has been called, and the warring parties―the powers in the land, the forces that control access to suffering populations―may also serve to maintain and legitimize the sponsors of the conflict. For this and other reasons, the role of the international welfare system is the focus of increasingly acrimonious debate. It’s a truism that the first casualty of war is truth. When the U.S. Senator Hiram Johnson coined this phrase seventy years ago he assumed there was a prior truth, a clear factual picture that is shot down and buried by secrecy and propaganda. It is not as simple as that, of course. Africa’s wars have been the occasion for the formal elicitation of vast amounts of information, the field reports of hundreds of NGOs and UN agencies, mountains of gray literature that gather dust in back-offices in Nairobi and Geneva—or reside, unvisited, in the wilderness of cyberspace, on aid and development websites. At certain moments these conflicts have also received intense attention from global news media. The very density of such information can trap us in the present. Historical perspective is lacking, both in the mass of aid agency reports and the great majority of press coverage. What is missing is not just a sense of the history of the societies in which these crises are taking place, but also an understanding of the role that the international presence itself has come to play, cumulatively, in the creation, or recognition, and prolongation of the emergencies. Like the warring parties, these institutions have their interests too. They have their own institutional culture. So it is the relationship between the three estates—the news media, international aid organizations and the powers in the land—that determines to a large extent the picture we have of African countries in crisis. It is their various interests that shape the representation of these crises. In discussing the reporting of these events I should stress that I do not mean only the news media. Reporting is something journalists do, but it is also something aid workers do—hence the field reports that lie unread in Geneva and Nairobi. There is some overlap and a degree of complicity between aid workers and journalists. News reporters rely on aid sources to a greater extent than they would use a single source in other fields of journalism. They are often physically dependent on aid agencies for accommodation in the field. Aid workers are liable to be their primary informants. Aid organizations, in their turn, are dependent to an unhealthy extent on journalists for publicity in order to raise money for their programs. In aid-agency-sponsored representations of disaster, as Alex de Waal has pointed out, images of social breakdown, starvation and malnutrition tend to be countered by stories of successful relief operations. Even now, there is seldom any analysis of operations that fail. Rony Brauman, a former head of MSF-France, an organization renowned among NGOs for its high public profile—and sometimes criticised for the same reason—has described how to engineer coverage of a disaster. First, he says, it is pictures, not words, that turn an incident into an event, a continuous flow of pictures that can be tapped for cumulative effect. He is referring to the so-called CNN effect, the fact that print coverage increasingly follows television, and that television, because of its impact on public opinion in the West, has come to dictate foreign policy. In order to garner media attention, Brauman suggests, an upheaval must be isolated; television news cannot cover two international crises at once. So the refugee crisis in Liberia in 1990 stood no chance against the Gulf War. Furthermore, he says, the news media require a mediator, a known personality or a representative of a humanitarian organization who will, in his words, “authenticate the victim.” This victim must be one immediately sympathetic to Western viewers. By this, Brauman means, I think, one not visibly from a Muslim culture, though he may be out of date here. Information gathered in the disaster zone thus moves from the village, the refugee camp and the battlefield to the newsroom, the boardroom and the policy unit. It moves along devious channels and through unsignalled media bottlenecks. Understanding the flow of such information in emergencies is a step to understanding the emergencies themselves. But we also need to understand that there is a level of reality deeper than that routinely elicited by this information-brokering cartel—that the kind of information generated under the auspices of this combination of outside interests may bear little resemblance to the understanding that the people of the disaster zone themselves have of their plight. The idea that the diverse polities of Africa—even of sub-Saharan Africa—form a single generalizable entity, is, as the philosopher Kwame Anthony Appiah has argued, the product of European colonialism, of romantic imperialism. Africa is far less homogenous, geographically, ecologically, culturally, religiously and politically, than Europe or the Americas. South Africa and Burkina Faso have as much in common as France and Tajikistan. To say that Africa has “never been more dangerous” because of wars in the Great Lakes and points north is like saying Eurasia has never been more dangerous because of Tajikistan or Chechnya. It is generalization that is dangerous. I shall be hazarding a few generalizations myself, nevertheless—but with this proviso in mind. The countries I will be referring to are principally those in the eastern and central parts of the continent—the Horn of Africa and points south. I use the word “country” here, but this term is problematic too. Different nation states in the continent are in radically different stages of national evolution. European colonial powers in Africa engaged with polities in radically different stages of state-formation. In the case of eastern Africa there was an indigenous empire, Ethiopia, with a centralized administration; but there were also pastoral cultures like those of the cattle-keeping peoples of Southern Sudan which had no central political authority at all. The imposition of nation-statism on Africa in the aftermath of colonialism disguises vast differences in the history of communities within what are now recognized at the formal level as nation states. They tend to be, in Joel Migdal’s phrase, strong societies in weak states. In the case of Somalia the state itself has imploded; authority is located to an extent in a clan system that predates colonialism; practical power is in the hands of armed representatives of these clans. Under this aegis something like a city-state system is emerging in the ruins of an imposed nationhood. Ethiopia, its neighbour and sometime invader, is a country with a very different history and a corresponding difference in political culture. Never colonized, though briefly occupied by the Italians in the 1930s, the Ethiopia of today is the rump of a multi-ethnic indigenous African land-based empire, an imperial power shipwrecked by history. Ethiopia is the most culturally diverse nation in Africa; Somalia, politically broken though it is, is one of the most culturally homogenous. Rwanda, to take a third example, is monolingual and largely monocultural—as Somalia is—but in terms of political organization it is very different. Rwanda is a small, densely populated country with good roads—the opposite of Somalia, or of Southern Sudan, where there are no decent roads to speak of at all. With its long history of pre-colonial state formation it is also very different from Somalia or Southern Sudan in terms of political culture. 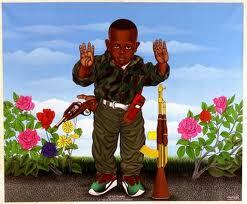 Thus Rwanda in 1994, on the eve of the genocide there, was not a failed state; it was not a state in collapse. It was a highly organized and centralized state where the government had embraced a semi-cogent racist logic. Gérard Prunier describes it as “an ideological state where power is the means towards the implementation of a set of ideas as much as an . . . administrative structure for governing a given geographical territory.” In this respect he compares it to Cuba, Israel, North Korea—and the Vatican. Outsiders have come to expect disorder in African countries, but it would be a mistake to think of Rwanda as a collapsing state, or an anarchic one on the model of Somalia or Southern Sudan. The Rwandan genocide was an event notable for of its level of organization. It was ordered and orchestrated with terrible efficiency. Six, seven, eight hundred thousand people killed in a hundred days on the orders, or at least at the instigation, of the government. This was a feat of organization that few outsiders expected of a government in the disaster zone. The wars and famines and massacres in Rwanda, Ethiopia, Sudan and Somalia can, then, be described as complex emergencies, but they are complex in very different ways, corresponding to a significant extent to the historical differences between the four countries. The words “tribe” and “tribalism” were eschewed for a long time by commentators wary of reinforcing primitivist stereotypes of African societies. But the rise of ethnicity as a political factor in the West and the removal of the smokescreen of ideology in the wake of the Cold War has freed the terms into politically acceptable discourse. How many times in recent years have aid workers and journalists discussed Yugoslavia with their African colleagues and agreed that tribalism is not limited to Africa—that Europe has tribalism too? African intellectuals enjoy reminding Westerners of this; and Westerners of liberal cast of mind, connoisseurs of post-colonial guilt, can concur without risk to their self-regard, since few of them actually come from Balkan countries. Contrary to a commonly held belief Hutu and Tutsi are not tribes. They are two social divisions of the Barundi and Banyarwanda tribes who may have had a different racial origin in the distant past but who have lived together, spoken the same language, and intermarried for hundreds of years. It would be hard, in fact, to find an exact translation for the word “tribe” in most African languages. This is because it means too many different things. Ethnic identity and language difference are often linked (though not in Rwanda), but such things are liable to escape the notice of outsiders. One of the most obvious obstacles for Western journalists and aid workers in Africa is language itself. No British or American news organization would send a correspondent to France who did not speak French, or to Russia without Russian, but it is rare to find aid workers who speak any African language—and even rarer in the case of journalists. This is true even in those places that have been the subject of quite intense, long-term, sophisticated news coverage, like South Africa. How many of the correspondents who have made their reputations there speak Sesotho, Xhosa, Sindebele or Afrikaans? The vast majority of reporters are dependent on European linguae francae, and on interpreters. We in Europe would not give much credence to a reporter on, say, Northern Ireland, who did not speak English. Yet that is a not unreasonable analogy with some of Africa’s conflicts. Not only that, but in the complex origins of these conflicts language itself plays a part; language groups may be one of the lines of cleavage. Of course, many Africans speak English, or another European language. Africa is a polyglot continent. Around 2,000 languages are spoken there. It is rare to meet someone from Africa who is not bilingual or trilingual. Most will speak their mother tongue, a national lingua franca and most likely one of the world languages spoken in the continent: English, French, Arabic or Portuguese. It is easy, therefore, for outsiders to get the gist of events, but it is more difficult for them to enter the language universe in which the events are taking place. The way, for example, that a politician speaks to his constituents—in the language they share—may not be the same as the way he speaks to reporters from the international press. The same may be true of a local employee of an aid agency. Aid talk is itself a specialized technical dialect of English. A non-indigenous language that offers its own formulas, its own terms of art, its “community-based” this and “grassroots” that. These cant phrases have their origin in concepts that have their moral origin elsewhere; they may not map onto local social realities. Speaking and writing from within a hegemonic world language, as most of us do, we may find it difficult to grasp these truths. And local people may not have any reason to press them on outsiders. There’s an expression used in lusophone countries, in Angola and Mozambique, to describe a show put on for outsiders, or hypocritical behavior in general. The expression is para Ingles ver— “for English eyes.” Sometimes it has evolved into para Americano ver. Much of what people say to reporters and aid workers in African countries is para ingles—or americano—ver. One aspect of the current crisis in the Great Lakes and the Congo that has been made much of is also a matter of language. This is the changing line of division between francophone and anglophone influence in Africa. The French interest in Rwanda, where France has no colonial history and few economic interests, owes everything to the fact that since the Belgian colonial era French has been the language of administration there, although Rwanda is a country where, as we have noted, the inhabitants, unusually for an African country, all speak the same indigenous language, Kinyarwanda. The rivalry between francophones and anglophones (or anglo-saxophones, as they have been dubbed by a West African commentator), is a contest which French analysts, or French government representatives, take more seriously than English speakers do. This is mainly because they are on the losing side. This was a more revealing remark than President Museveni intended it to be. In fact it was a bit of a giveaway. More than twenty-five per cent of the Ugandan population are not, in fact, speakers of Bantu languages. They speak Nilotic languages. And the non-Bantu-speaking northern region of Uganda is the part of the country where President Museveni is facing a long-term insurgency against his government. Language can also be a means of resistance. This creates a world of political information largely beyond western ken. In Southern Sudan there are dozens of indigenous languages. Under Anglo-Egyptian rule the language of administration was English. After independence, with the state under the control of the riverain Arab elites of the North, the educational system was progressively Arabized. For the rebel Sudan Peoples Liberation Movement—a body that represents, or aspires to represent, Southern Sudanese (that is to say, in leader-writer language, the “non-Arab, largely non-Muslim peoples of the South”)—the politics of language has led in two directions, to English, as the world language of the non-Arab world, and to their own indigenous languages. 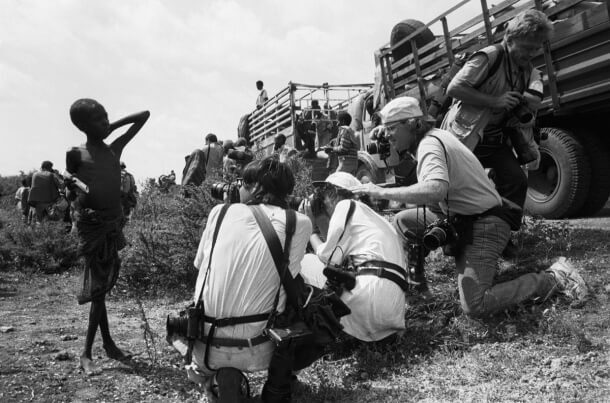 In the early years of the SPLM/A, as Wendy James has documented, when the rebels had access to a radio transmitter in Ethiopia, their local-language broadcasts were a vital factor in spreading the political message to specific language groups in the South. Some of these languages had never before been heard on the airwaves. For a comparatively new movement with a disorganized political base and a recruitment bias towards one or two ethnolinguistic groups (that is to say, the Dinka and the Nuer, only two of the dozens of ethnicities that make up Southern Sudan) these broadcasts were a valuable symbol of a commitment to multiculturalism. Nevertheless, the lingua franca of the rank and file in the SPLA has remained Arabic, in one or other of its local versions. This is usually how Southerners from different ethnic groups talk to each other; and it is how they talk to their enemy in the North. When they speak English it is to non-Sudanese. As such, it is liable to be, in the Portuguese phrase, para Ingles ver, for the eyes—and ears—of outsiders. A medical anthropologist from Southern Sudan, Jok Madut Jok, has provided a glimpse of the process of collecting information in such an emergency. He describes the misunderstandings that develop between aid givers and recipients. Aid workers’ ignorance of the local political economy, he argues, can lead to a series of misapprehensions on both sides. Local people interviewed through interpreters by assessment teams, often have difficulty understanding the point of the questions they are being asked. And they find it hard to take such questions seriously when, as often, they betray a fundamental ignorance of local ecology and food production. Jok describes working as an interpreter for expatriate aid officials dealing with cattle-owning communities in an area of Southern Sudan that was the epicenter of the famine in the late 1980s, an area which has suffered recurrent food shortage ever since. Many of the aid workers, he notes, were unable to distinguish oxen—gelded bulls—from bulls. And they would ask people to enumerate the cattle they owned, unaware that cattle ownership is not necessarily vested in the individual—either the individual person, or the individual animal. For local people the repetitiousness and irrelevance of such questions can engender a certain contempt for foreigners. Asked the same question again and again by a succession of different aid workers they may come to suffer from a condition that Jok—echoing the “compassion fatigue” of fund-raisers—labels “assessment fatigue.” Feeling humiliated and powerless, their dignity impugned by being forced by circumstances to answer the assessors’ intrusive questions, they take a certain pleasure in deceiving them. “Who cares what I tell the foreigners as long as the [rebel] authorities do not think I am being subversive?” was how one of them put it. This confusion in the moral realm is compounded by and becomes a part of the elaborate deception practiced by the local military administration, dependent as most insurgents are, on the diversion of food relief from civilians. Jok interviewed a Luo chief in an area of Bahr-el-Ghazal that has suffered a decade of military instability and consequent food shortage. “They came here several months ago and called us together,” the chief told him. They called us together, asked us a lot of questions that we did not know how to respond to. Then two months ago, one of these young girls [i.e. aid workers] came back with five other people and asked us the same questions for which we gave different responses. And now they are here again—asking if Luo people have acquired cattle from the Dinka [a neighbouring agro-pastoral people] since Luo people are good cultivators and the rains have not been so bad here. We do not know what to tell them other than yes, some people have brought cows, some have not, and yes our people are hungry and you ought to help them. It is important for Western reporters as well as aid workers to understand how they are perceived by those at the sharp end of war and famine. This is, ubiquitously, as wealthy people, potential patrons in what are fundamentally patron-client societies. “Throughout Africa,” writes Alex de Waal, “aid agencies are surrounded by a mystique of power, wealth and opportunity.” In many African languages the same word is used for commercial companies and aid agencies. Just as visiting Westerners are hard put to tell who’s who in a village or a refugee camp, villagers and refugees may not make distinctions among the disaster tourists who come to visit them. Like journalists everywhere, those covering Africa are always short of time. One-day trips to refugee camps and bush towns, snatched interviews with subjects who have no experience of the news media, who may find it hard to understand what their interrogators want to find out. And no time to find out who people really are, their position in the community, the weight to be given to their words. Relations between the international media and the participants in conflict have altered as a result of the 1996 insurrections in Zaire. The journalistic coverage has been deeper and better informed than in previous cases. Journalists no longer take dictation from aid agencies. This is largely because the sustained media attention on Rwanda following the genocide has meant that they have had the chance to develop a certain amount of local expertise themselves. In the case of the press in the United States, where coverage of African affairs is now notably better than that of British newspapers—as opposed to broadcast media where, in the English-speaking world, Britain still holds sway—it was also because they saw for the first time the hand of the U.S. State Department in the political realignments in the region. But this current phase of the Great Lakes Crisis has also been marked by a new sophistication on the part of the combatants. The “new African leaders” in Uganda and Rwanda and Congo, their vision and intelligence noised abroad, for example, in leaders and op-eds in the New Yorker and the New York Times, are adept at the skills of media manipulation. The way they orchestrated the coverage of the advance on Kinshasa of Laurent Kabila—their protégé at the time—would not shame the spin-doctors of the Western powers during the Gulf War. It is worth examining in greater detail. The officials of Kabila’s Office of Information know that journalists have rapid deadlines, limited budgets and a short attention span. If they spin things out for long enough with security scares, with bureaucratic hurdles and impassable road-blocks the journalists will go away. They know that television teams are particularly vulnerable to such constraints, to the need to produce quickly the string of images and narrative we call “the story,” the Procrustean bed into which the complex realities of a vast and little-known area are forced. One forum where those living in Western countries may anticipate that the facts of the case will emerge unambiguously is in courts of law. There has been much discussion over the last few years of the human rights tribunal in Rwanda and, before that, Yugoslavia. The proceedings of these bodies promise to be the means for both the international community and the citizens of affected countries to settle the record of events and establish accountability for them. But in the case of the Rwandan tribunal, in Arusha, in Tanzania, which is the international criminal tribunal set up to try the leading perpetrators of the genocide, the proceedings have, until recently at least, been bogged down with poor leadership and inadequate powers. In Rwanda itself, where several thousand more alleged génocidaires are held, insufficient funding and training have left the judicial system in chaos and the accused languishing in overcrowded prisons. The trial of the Derg, strangely, has gone almost unreported in the world’s press. The Ethiopian trials are an example of a news story that ran into the sand, one that seems to confirm the scepticism of the former director of MSF about the priorities of the news media. Even so, it’s hard to explain the lack of interest in the Ethiopian trials. The Ethiopian regime, instead of putting its opponents to the sword, has charged them, quite properly, under UN conventions as incorporated into the Ethiopian penal code, with genocide and crimes against humanity. From the point of view of news coverage, furthermore, the trial has some strong elements of theatre, starting with the murder of Haile Selassie, among the first of many charges against the accused. Stranger still to outside eyes, there is widespread indifference to the trials among the very people who were the Derg’s prime victims, the citizens of Ethiopia. When I went to cover these trials in 1995 I was expecting a national event. On the opening day, however, there were only a hundred or so people outside the courtroom. The trials were broadcast on ETV, the state television station. But the televisions in the hotel I was staying in and the houses I visited were tuned to CNN. People were keen to watch, it turned out, not the human rights trial up the road, but the murder trial of O.J.Simpson, which was just then opening in Los Angeles. Spokesmen for opposition parties in Ethiopia argued that the government was merely paying lip-service to human rights, that the trials were a ploy by a minority administration seeking to win approval from Western donor countries. But a deeper explanation for this indifference and antipathy on the part of a large sector of the Ethiopian educated class—for their rejection of what, on the face of it, should be a unifying national and international event—must be sought in Ethiopian history, in the background of the current government. The world media, which noted the trials only in passing, certainly had no time for this kind of analysis. Here I can only try to give a glimpse of it—of the special complexity of one African country. The political situation in Ethiopia, as I suggested earlier, can be compared with that of another collapsed empire, the Soviet Union, which was the Derg’s sponsor. For centuries two rival highland peoples, the Amhara and the Tigrayans vied for control of the Ethiopian empire. Early in the present century the Amhara prevailed. They were highly assimilative: educated people from many ethnic groups became and were accepted as Amhara. Under the Derg, whose members came from all over Ethiopia, Amhara continued to be the backbone of the administration. But the Derg was defeated by an insurgent army from Tigray. After the Tigrayans and their allies took over the government in 1991 the Amhara elites, the most educated and articulate sector of the population, found they no longer had the privileged access to state patronage they had enjoyed previously. They were, in the opinion of many of them, disenfranchised. It is as though communism in the USSR had been overthrown, not by Russians, but by Ukrainians (in this analogy Amharas are Russians and Tigray is Ukraine). That is, as though a government dominated by Ukrainians was now in power in Moscow and Ukrainians held many of the government jobs that ethnic Russians had done before. In a country like Ethiopia, where almost all salaried employment depends on state patronage—a legacy both of the empire and the Derg—control of the government apparatus has immediate economic implications. And so it is that, for some, jobs for the living are more important than vengeance—or justice—for the dead. My neighbor on the benches for observers in the courtroom at the trial of the Derg was the former Attorney-General of Ethiopia, Teshome Gabre-Mariam Bokan. Ato Teshome’s career, which spans three regimes, illustrates the extraordinary pace of political and cultural change in Ethiopia, an acceleration of political history that must condition any understanding of political events there. As I recorded in my account of the trial, Ato Teshome explained to me that he had been Attorney-General under Haile Selassie in the 1960s and a political prisoner for eight years under the Derg. “I was the only Attorney-General in Ethiopian history,” was his reply. A few days after the opening of the trial I accompanied Ato Teshome to a production of Hamlet at the National Theatre in Addis Ababa. 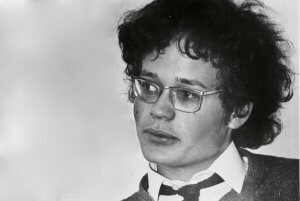 It was the first new production in decades, since the Derg had killed striking workers outside the theatre in the 1970s. The people of Addis Ababa, who had shunned the real-life drama in the courtroom up the road, flocked to see the goings-on in Elsinore. The queue outside the theatre was half a mile long. Riot police were called in to control the crowd. Having spent the week in court hearing about death and treachery, exhumations of victims of the Derg, the death of a monarch, I now sat with an audience of a thousand watching regicide, revenge killings, the corruption of the state, gravediggers, a coup d’etat—the catalogue of unnatural acts and casual slaughters characteristic of the Elizabethan revenge play. The moral world of Elsinore, with its Machiavellian politics, its veneration of ancestors and vortices of revenge, seemed to be not so far from Ethiopia under the Derg, where everyday life was a theater of fear. The sets at the National Theatre thrust the point home. They were beautiful representations of recognizable Highland Ethiopian townscapes, a Shoan Elsinore. And the parallels were not lost on the audience at the National Theatre. They gasped at the ghost of the old king; they whooped at Hamlet’s oblique resistance to the demands of court life and the erosion of Denmark’s territorial integrity under the misgovernment of his step-father. They applauded every act of revenge, each rapier thrust. For an Ethiopian audience, I realized from discussions with Teshome, the central question in Hamlet, the question that remains at the end of the play, is whether Fortinbras, the rebel who takes over the state of Denmark when the usurper Claudius has been killed, can really institute an improvement in the body politic. That is to say: can a new regime save the state, or merely preside over its dissolution? It is easy to identify Fortinbras, in this interpretation of the play, with Meles Zenawi, the current Prime Minister of Ethiopia. It’s easy to forget how short an experience of modernity—and how long a collective local historical experience—some African countries have had, and the consequent differences in the manner of their incorporation into the world system. In Ethiopia there are coded ways of understanding that are historically prior to the apparatus of international law—and that may be obscured by it. (An Amharic expression—wax and gold—signifies these hidden meanings.) When we support the idea of a reckoning for the crimes that have been perpetrated in such countries these particularities, these local understandings, need to be understood first. One of the hazards of reporting on African emergencies, with their seemingly intractable background conflicts, their cultural complications and their high degree of human suffering, is a corrosive weariness. Among the victims, of course, but also among observers and those who aspire to assist, there may be a clinical level of stress. Even among those who maintain their equilibrium there is a kind of witness fatigue. I would like, in conclusion, to discuss briefly two responses to this which can affect accounts of these emergencies: an identification with one of the parties to conflict and a relapse into despair. There is an honorable history of solidarity movements in Africa. During the rule of the Derg in Ethiopia, liberation movements that could plausibly be considered worthy of the name operated in Eritrea and Tigray. The foreign aid workers involved in cross-border relief operations often entertained a high degree of fellow-feeling towards members of the Eritrean and Tigrayan movements they worked with and identified themselves with their political aims. (These erstwhile liberation movements are now in power. In Ethiopia they are the ones bringing the Derg to trial.) Many veterans of these aid programs are still working in Africa, some as aid workers, some as human rights researchers, some as journalists and some as advisers to governments. Others whose involvement in African affairs began as scholars or researchers, have found increasingly active roles as the urgency of the situation embroiling the people they lived among has become more acute, more dire. This professional cross-over can create perplexities. The disaster zone is a realm of changing identities. For its inhabitants this is not a matter of choice. Academics and civil servants become guerillas; today’s gunmen are tomorrow’s government. But for foreigners the fluidity of professional roles is a choice. It is not always clear what the limits are. In a pitiless war against the civilian population, government forces have burned villages to the ground, corralling their displaced inhabitants into camps. Here the displaced villagers are subject to systematic physical abuse, while their children are liable to be forcibly enrolled in Islamic schools. Those… who are living outside government-controlled areas, lack access to almost all manufactured goods: soap, clothes, shoes, cooking pots, paper—and batteries for the radios that are their only access to the world outside the rebel enclave. … a handful of educated Nuba have dedicated themselves to the war of insurgency against the regime in Khartoum; their only regular source of information about the outside world, and even about events in their own country, is the BBC World Service. As we walked through the spectacular mountain landscape—rocky slopes concealing green valleys with terraced fields of ripening millet, sesame and maize [they] discussed world affairs with an intensity born of their long struggle to establish a political identity against the dominant Arab-Islamic culture of northern Sudan. Men in their twenties and thirties, they have spent their adult years facing institutionalised racism and encroachment on Nuba land by Arab entrepreneurs operating under government protection. Now they are in military confrontation with a regime bent on destroying their culture and livelihood by force. It is not a religious war: many Nuba are Muslims. What these Nuba insurgents are against is life under the heel of the narrow, ethnic-based military regime that holds power in Khartoum. The books they would really like, are accounts of the experience of minorities in other countries—minorities that, like the Nuba, have asserted their right to their own way of life against oppression by a central power. The case of the Eritreans, who fought for twenty years to establish their own state, may be considered encouraging. Eritreans are not a single ethnic group and nor are the Nuba, but they have managed to make a country for themselves. The fate of other minorities outside the West is less hopeful. Amerindians. Tibetans. Montagnards in Vietnam. !Kung in South Africa and Botswana. Karen in Burma and Thailand. None of these is doing well. The Nuba had better know the worst. In the SPLA-controlled areas of the Nuba Mountains half a sheet of old, crumpled paper—torn-up for rolling cigarettes—costs five Sudanese pounds, a couple of pence, not a negligible amount where the cash economy barely exists. Paper of any kind has a price; but printed paper–paper with useful information—is truly valuable. In the government zone possession of books and press cuttings about the war would be grounds for arrest: information control is the order of the day there. By contrast, in the rebel zone, there is comparative freedom of information and opinion—if only the information can get through. There are, it’s a fair guess, more guns than books in this part of the world. It’s guns that do the talking, but books that make men free. Living, as most of us, do in Europe or America, in continents awash with printed matter, it is good to be reminded of this. This is a thoroughly partisan piece of journalism. I am free to say this because I was the one who wrote it. 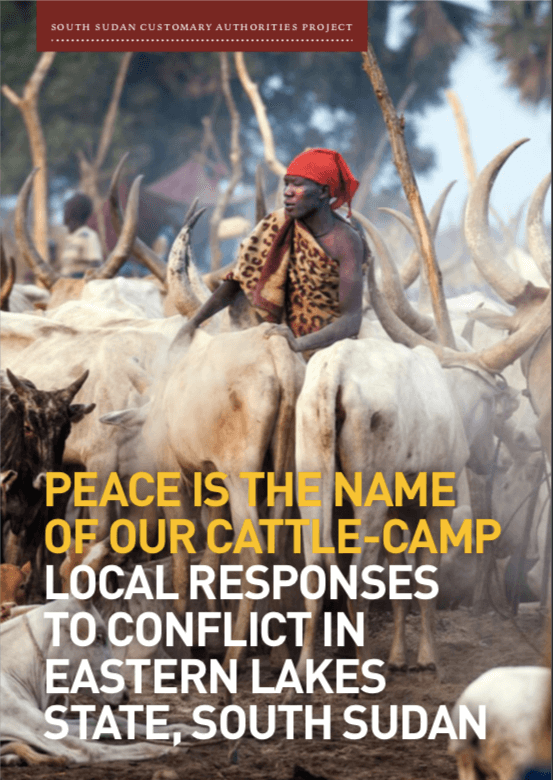 The report eschews a consideration of the extremely complicated relations between different Nuba groups (there are dozens of languages spoken in the Nuba Mountains; their political unity is a recent phenomenon and is correspondingly fragile). 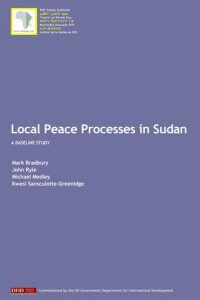 It does not consider the representativeness or otherwise of the rebel administration there, of the question of why there are also Nuba fighting on the government side, or the relation between the rebels in the Nuba Mountains and the rebel army of which they are a part, the Sudan People’s Liberation Army, a force whose human rights record elsewhere in Sudan is very questionable. By stressing the importance of information in the article I also skirted the question of armed struggle. “Guns do the talking, books make men free,” I wrote. I was pleased with the phrase, I guess. But some time later I had the chance, outside Sudan, to meet again with one the Nuba insurgents I had traveled with. He’d read the piece. I had ended the piece with an appeal for books for the Nuba Mountains. I think that the Guardian, where the piece was published, might have balked at running an appeal for guns, though you never know. I watched the dead float down a river in Tanzania. Of all the gut-wrenching emotions I wrestled with, covering famine, war and misery around Africa, no feeling so gripped me that scorching hot day last April, standing on the Rosumu Falls bridge in a remote corner of Tanzania, watching dozens of discolored bodies floating downstream, floating from the insanity that was Rwanda… I know exactly the feeling that haunts me, but I’ve just been too embarrassed to say it. So let me put it as simply as I can… Somewhere, sometime, maybe 400 years ago, an ancestor of mine … was shackled in leg irons… and put with thousands of other Africans into the crowded filthy cargo hold of a ship for the long treacherous journey across the Atlantic… I thank God my ancestor made that voyage. I have seen the cholera epidemic in Zaire… I have interviewed evil warlords, I have encountered machete-wielding Hutu mass murderers… Now after three years I am beaten down and tired. And I am no longer even going to block that feeling from my mind. I knew Africa was a continent with much poverty and despair: But what would it be like, really, to see it as a black person, knowing my ancestors came from here? … Here [in Khartoum] were black Americans heaping praise on an unsavoury clique of ruling thugs… I wanted to confront them but instead I went back to my room at the Hilton, turned on CNN and learned that my Italian journalist friend Ilaria Alpi and her cameraman had been killed in a shoot-out in Mogadishu. We can sympathize, I think, with the emotional honesty in this dispatch. But we need to be wary of projecting domestic concerns—in this case personal grief and identity politics—onto the political otherness of the disaster zone. We should be careful to distinguish between individual distress and what are, by universal standards, crimes against humanity. The genocide in Rwanda was a very great crime; as was the slave trade. To call it insanity is not enough. To conflate it with epidemic disease, with warlordism and all forms of bad government is misleading. These last phenomena are commonplace. Large-scale genocide is not. Like the slave trade, the Rwandan genocide demands precise documentation and meticulous explanation. An event like this, which transcends local concern, is a test for the global knowledge community of which we are a part. Some investigators, such as Rakiya Omaar, of African Rights, and Alison Desforges, of Human Rights Watch, have dedicated years to the task of documenting the events of the genocide. He wrote this letter from Kisangani, which is also the site of the most recent mass killings in the new Congo. These new killings, due to systematic obstruction by Laurent Kabila’s government, have not yet been properly investigated by human rights organizations, though they have been given some space in American news media—more than in Britain, it may be noted. The tradition of human rights research that George Washington Williams began is still generating the most thoughtful and detailed accounts of events in the disaster zone. Although human rights reporting is limited in scope and tends to stress the worst aspect of events, its standards are generally higher than those of other information entrepreneurs in this area. They should be emulated. I have spoken of the hazards of reporting, and of the difficulties of understanding and explaining events in areas of Africa afflicted with various kinds of violence and suffering. The tone has often been negative. Perhaps I have done insufficient justice to the efforts of professionals in the fields of journalism, aid work, academic scholarship and human rights research. It is clear that without their work, there would be nothing much to go on; and few of the subjects of this article could be discussed with any confidence at all. There is, it should be noted, not a single critic of the aid process, of the edifice built by NGOs, who has not been its beneficiary, myself included. The humanitarian international has paid us to bite the hand that feeds. And long may it continue so to do. 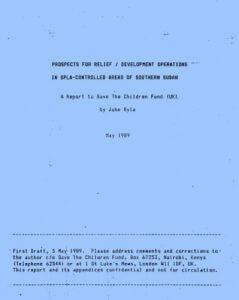 During the course of my fellowship at Nuffield I had the occasion to work as a consultant for Save The Children Fund and the UN Department of Humanitarian Affairs in Angola. 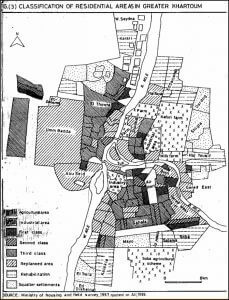 It was a village study in Huambo, a province of the interior, one of the areas worst affected by the war. Several of the villages I and my Angolan colleagues visited were in the UNITA-controlled zone of Angola. They had been inaccessible to outsiders for many years. En route to one of them—one of the most remote—we stopped at a rural mission in order to visit a celebrated Catholic priest named Padre Cornelio. Originally from Italy, Padre Cornelio had remained at the Mission throughout the war in increasingly difficult circumstance. He was known to be have a deep knowledge of the area and its inhabitants. But he declined to see us. It was, I imagined, it was a case of the ailment that Jok Madut Jok has diagnosed as “assessment fatigue”—a surfeit of visiting consultants and researchers. A week or so later, on the way back from the village, we stopped again at the mission. This time I sent a message mentioning that I was a fellow of this College. I don’t think Padre Cornelio was acquainted with Nuffield’s reputation for research in the social sciences, but the invocation of the college and the university of which it is a part, seemed to do the trick this time. We were ushered into his study, where an aide offered us whiskey (the aide was a seminarian who had served in the government army for several years before he hung up his uniform and become a priest). I discussed with Padre Cornelio many of the difficulties that I have mentioned in the course of this talk: problems of translation, lack of time, fear on the part of our informants, observer bias, not knowing who the people you are talking to really are, or to whom they owe allegiance. I was able to inform him that there was a Catholic congregation still holding services in the remote village where we had just been. Padre Cornelio expressed polite admiration for the fact that we had managed to reach the village in question, that we had travelled such a distance in so short a time. I had to tell Padre Cornelio that doing research quickly was one thing that I had not learned at Oxford University. On the contrary, the life of academe reminds you, if you are a journalist or consultant in the field of aid and development, how precious a gift it is to be released from short deadlines, to slow down the research process, to be given time for reflection.